Thomas Emmett Priester, 78, of Rocheport, MO, passed away April 9, 2018. He has gone to his heavenly home with the Lord. Known as Tom to many, he was born in East Saint Louis on June 22, 1939 to Thomas Edward and Daurine Reynolds Priester. 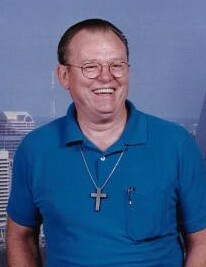 He was a 1957 graduate of Boonville High School and graduated from Baptist Seminary in Ft. Worth, TX. He pastored at various churches for many years and was an active member of Friendship Foursquare Church in New Franklin filling the pulpit there on occasion. He was employed with H and R Block in Boonville for many years. He married Marian Sprigg and they were the parents of a daughter, Cynthia. Marian preceded him in death and he later married Sandra Hagenhoff. Family was one of the most important things to Tom and he loved his family deeply. He was a wonderful, loving husband and a proud grandpa and loved taking the many great-grandchildren on tractor rides. Tom enjoyed barbequing and getting the family together. Tom is survived by his wife, Sandra Priester; his daughter, Cynthia; his grandchildren, Joshua, Jessica, Josiah and Jennifer Love and his sister, Judy Martin. Funeral services will be held at 2 PM, Saturday, April 14, 2018 at Markland-Yager Funeral Home in New Franklin with Rev. Wayne Purvis officiating. Visitation will be from noon to 2 PM prior to the service. Interment will be at a later date at Walnut Grove Cemetery in Boonville, MO. Memorial contributions are suggested to the Friendship Foursquare Church.